For many, not familiar with the bold north, walking on water or biking is a fun winter tradition. 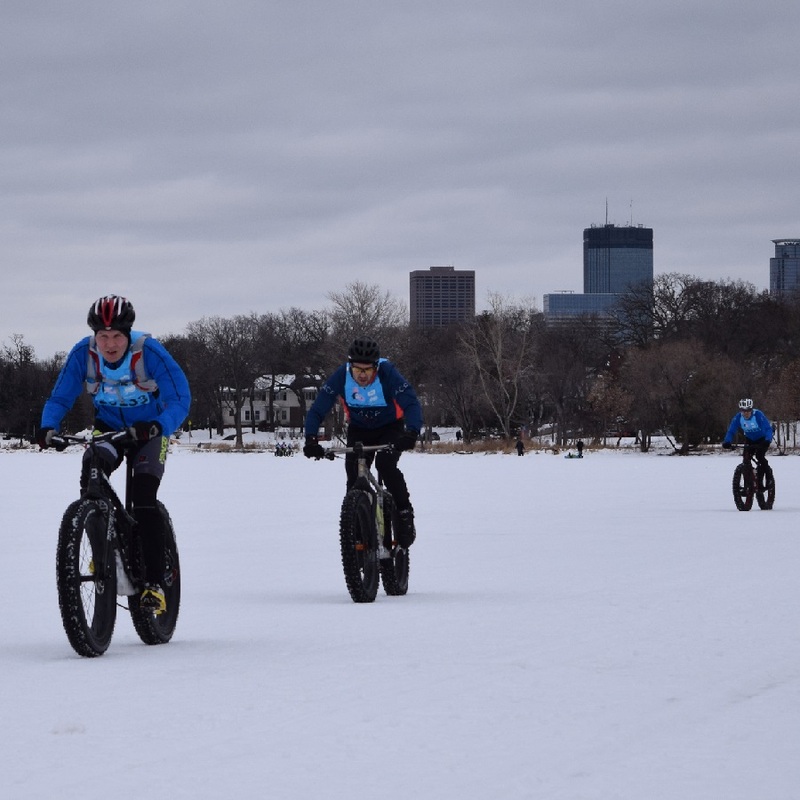 In the Minnesota region of the upper Midwest, Mother Nature’s annual temperature swing allows many the opportunity to safely pedal, hike or ski across the frozen water. Typically, for three to four months, riding a bike across a body of water with a sheet of ice over the surface is a regular occurrence. Biking across a lake opens up new places to ride and view the shoreline from a different angle. 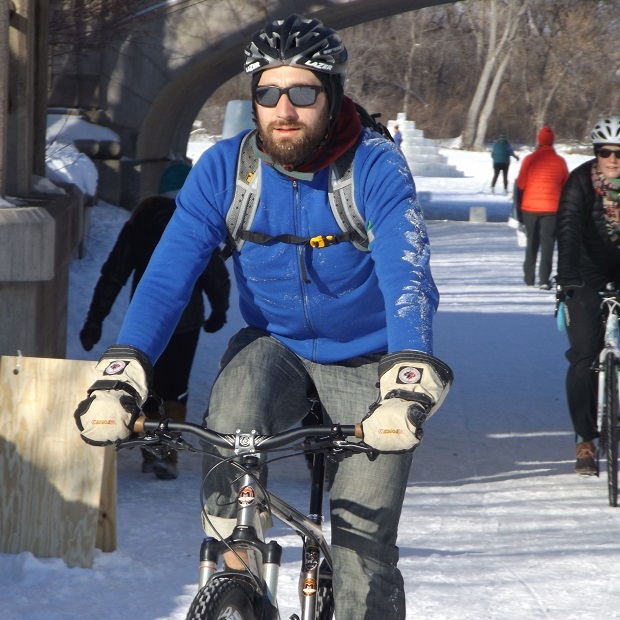 Along with the proper clothing for a comfortable ride in the winter, here are some things you need to know to ensure a safe time pedaling across a lake or stream frozen over. There’s no way around it. While many visual cues can help you determine if it is safe to roll out or step onto the ice, the most reliable way to find out is to measure the thickness. There are a few tools you can use to measure the ice. An ice chisel can be stabbed into the ice until it penetrates all the way through. A cordless drill with a wood bit also works well to auger a hole to measure the thickness. What is a safe thickness? Any ice thickness less than four inches, according to the Minnesota Department of Natural Resources states on ice thickness, should be avoided at all cost. At four inches the ice can support activities like bicycling, cross-country skiing, ice fishing, and walking. At five to seven inches the ice can sustain the weight of a snowmobile or an ATV, while eight to twelve inches is needed to support the weight of a small car. And while these guidelines are generic, ice conditions vary, and the above is for newly formed ice. Make sure to read more on thickness before going out there. Measuring in one place is not enough. Take measurements in several different areas (approximately 150 feet apart) to ensure that the entire area is safe. Ice thickness can vary, even over a relatively small area—especially over moving water. A visual assessment can help supplement your measurement, and can also help if you’re relying on someone else’s measurements. Visually keep an eye out hazards that may be developing in the ice, especially through connecting lake channels. Watch for signs of danger like cracks, seams, pressure ridges, dark areas (where the ice is thinner) and slushy areas—even slight slush signals that the icing isn’t freezing at the bottom anymore, which means it’s getting progressively weaker. Check out the color of the ice. Clear, blue or green ice that is thicker than four inches should be ok enough to bike on. White ice typically has air or snow trapped inside, weakening it. Dark ice might be an indication that the ice is quite thin—probably not thick enough for biking or hiking. New ice is typically stronger than older ice. As time passes, the bond between ice crystals decays even in freezing temperatures. When the spring thaw begins, the ice weakens considerably. It can be tempting to head out for one last ride across the ice, but it is safest to say no. Even if ice fits the measurement criteria, it can still be hazardous. Anyone doing anything on the ice outdoors should know ice rescue technique. Even kids should be familiar with the protocol, so be sure to educate them ahead of time. If someone in your party falls through the ice, the first thing to do is call 911. Anyone still on the ice should slowly lie down, distributing their weight over a larger area. Reach the person in the water using a long reaching assist—a large stick, a rope or a ladder if available. The person in the water should be instructed to kick and slowly ease their way out of the water. Once they make it to the surface, they should crawl or roll away from the broken ice area. Anyone on the ice, including the victim and rescuer, should avoid standing up until they are far away from the broken ice. As soon as possible, get the victim into dry clothing and treat them for hypothermia. 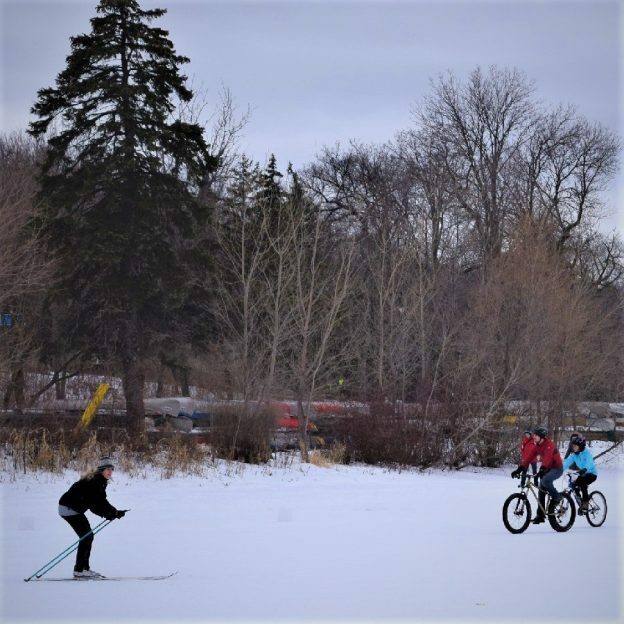 This entry was posted in News, riding tips and tagged Bike safety tips, ice rescue techniques, Ice thickness, lake ice safety tips, measuring ice thickness, MnDNR safe Ice tips, proper winter clothing, safe ice, winter bike riding tips on December 8, 2018 by Russ Lowthian.